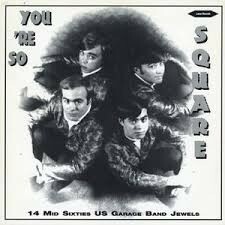 You're So Square '60s garage comp LP - WAREHOUSE FIND! 2002 release on Stroke records - please note we originally recieved these from Europe with no shrinkwrap - there are some slight cover imperfections from long term shelf storage - but the LP is unplayed. Includes insert!